Effective heat supply simplifies anesthesia. A temperature management system serves as hypothermia prevention and simplifies the anesthesia of patients during surgeries due to a fast and effective heat supply. The heating system – developed by Geratherm – offers not only for anesthesia but also for the surgery management in general great benefits. Body temperature is one of the most essential vital parameters of our organisms. One of the most important tasks during surgeries is the maintaining of this temperature. In cases where body temperature drops accidentally below 36 °C (96.8 °F) physicians speak of an perioperative hypothermia. If this condition is not noticed early enough, the low temperature can lead to medical complications. Perioperative hypothermia occurs almost during all surgeries. One reason for this phenomenon is the anesthetic, which dilates the blood vessels in the skin. Due to the increased circulation, body temperature drops. Moreover, the air-conditioned surgery room and the cool ambient temperature intensify this cooling process. Unwanted side effects of perioperative hypothermia are blood clotting, delay of wound healing and an increased risk of infection and cardiac arrhythmia. An efficient heat supply and a regulated temperature management system on the patient helps on the one hand to enhance the wellbeing of the patient and on the other hand the system also acts as an important factor from a medical point of view. 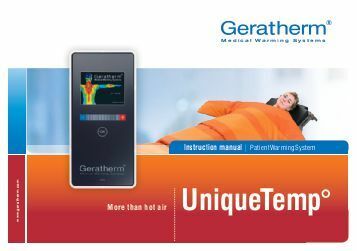 The patient-heating-system by Geratherm consists of modern and modular thermal blankets. In order to be able to regulate the heating supply perfectly it is necessary to measure body temperature continuously . 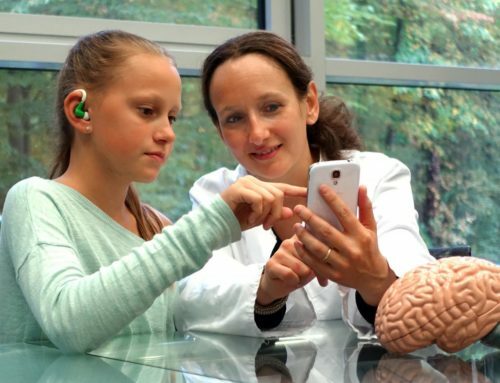 Therefore – based on the Earconnect Technology and the Cosinuss° One -a temperature sensor is being developed, which makes it possible to measure continuously and in a comfortable way the patient’s body temperature. The sensor determines the body temperature in the patient’s ear and is connected to the evaluation unit of the temperature management system. The temperature sensor is being developed according to the MET-400 characteristic for medical use. Furthermore, all materials are biocompatible in compliance with the DIN EN ISO 10993-1 and the manufacturing process is performed under DIN EN ISO 13485. The ergonomic design makes it possible to wear the sensor permanently.